My husband listens to nothing else but oldie rock groups like Boston, Supertramp, Steve Miller Band, etc. 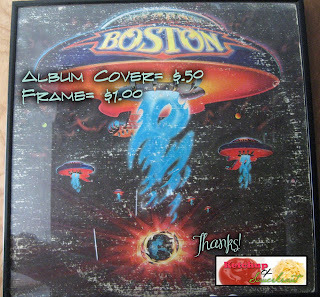 So, for his birthday one year, his friend gave him a Boston album cover he found on EBay which he had had framed. Technology is forever moving forward, but that does not mean design has to. Yes, CDs have taken over albums and iPods have taken over everything, but albums, like this Boston one, can be classic decorations for any man, woman or child. This version may have been a little expensive, but if you go to any garage sale or thrift store, you can find discarded album covers for super cheap, like $.50. So, be on the lookout. 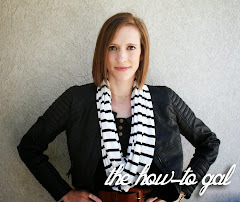 Have a good idea you would like to share on The How-To Gal? Send them my way!